Probation Officer Jason Smith keeps track of youth offenders on the streets of Chicago’s notorious West side. Chicago, Illinois (CNN) - Jason Smith is a juvenile probation officer in Chicago. His territory includes some of the most violent neighborhoods in the city. Unlike Los Angeles and New York, Chicago has seen an increase in homicides recently. There have been 470 homicides and more than 2,200 shootings this year. Much of the violence is fueled by gangs and fights over drug turf, according to Chicago police. [2:49] “Some kids who participate in the drug market, they’re not doing it for themselves, they’re doing it to provide for their family, to provide clothing that they need. It’s just a survival instinct,” Smith said. 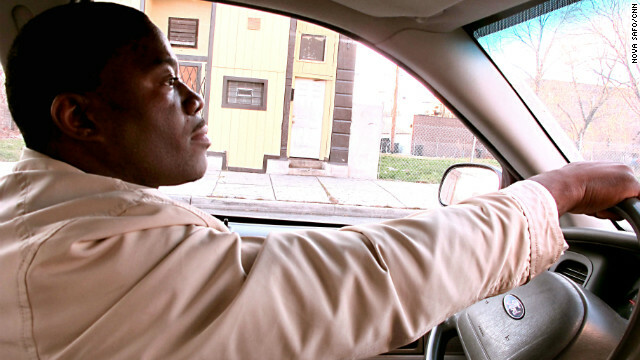 Listen to the story above to hear our ride-along with Officer Smith, as he visits Chicago neighborhoods and the young offenders he is working to help. The problem is, a lot of the parents don't care. So it would change nothing. That was an excellent story!